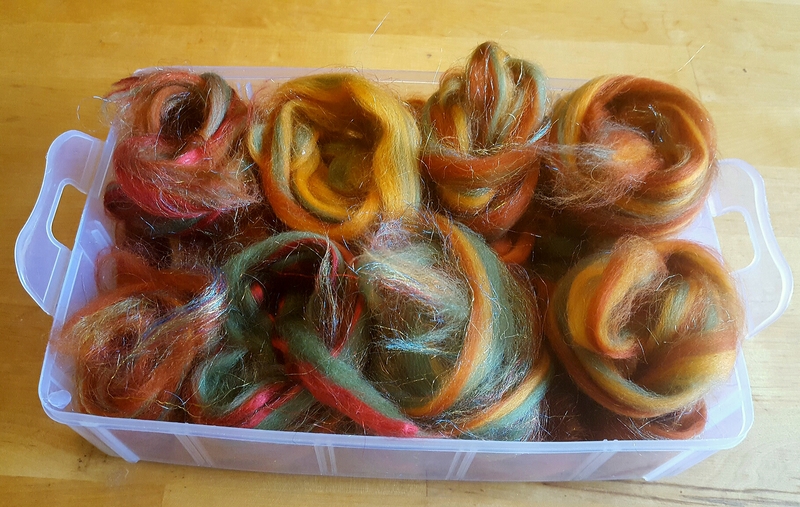 It was a goal of mine this year to spin some yarn. 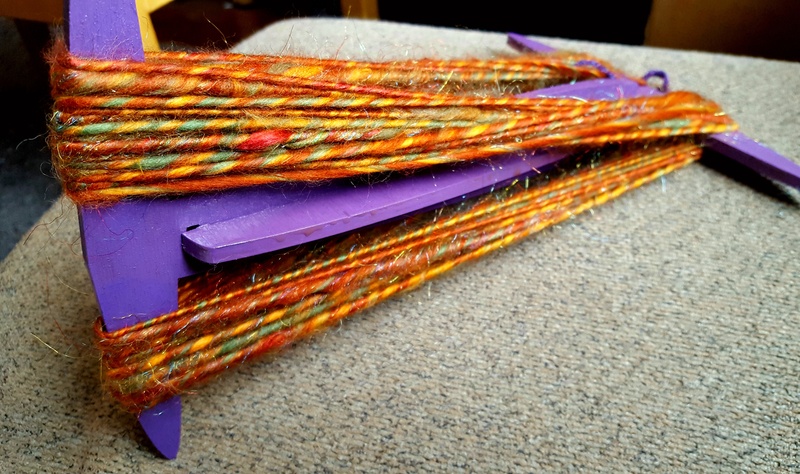 I already started the year with 3 lovely bundles of fibre and a drop spindle which I bought myself back in 2015 and I really wanted to push myself to spin something. I can finally say I did it! Yahoo! Here it is. Just look at those wonderful colours! I especially love the iridescent rainbowy sparkly bits! As you will remember from previous posts i started with this bundle of fibre (if you know the proper name please let me know! Predrafting is really helpful, I found. It meant when I came to the actual spinning part, I had a lot more control over the thickness. 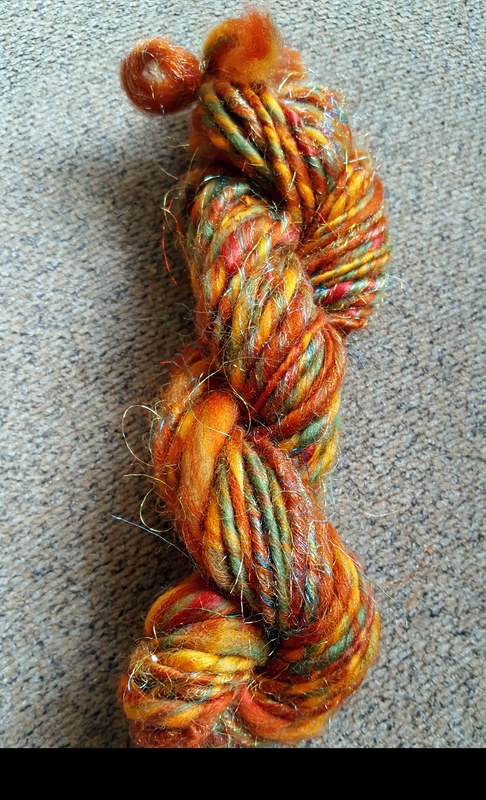 Here it is on my spindle. Its quite a satisfying sight isnt it! I wasnt prepared for how much back ache thr drop spindle method causes. I have back problems anyways (the doctors tell me that my vertebrea in my spine are lazy, by which I mean instead of taking an equal share of the pressure as they should, most of them shirk their responsibilities and so all of the work is left down to 2 very over worked vertebrea right at the small of my back) which mean my back has a lot less tollerance of repetative motions. And my god, my back hurt by the end! I shall have to find a better way of sitting/standing. I tried standing but thrn I found I had nowhere to park my spindle. I then wound it onto my niddy noddy and soaked it for 10 minutes. Unfortunately, i found out much too late that I didnt have anything which my niddy noddy would fit in to soak. The best I could do was my partners brewing pan, and even then I had to turn it over during the soaking process to get an even soak. Finally I hung it to dry. I hung a small weight (a bag of pasta, in fact) off of the end of the yarn just to encourage it to dry straight. I am very pleased with the outcome. I love the colours and I love the way they spiral into each other. There are a few areas where its a bit thicker than other areas, but overall I think it is mostly uniform. Now to find something to make with it! On a side note, I will be moving next week, so will probably have very little time for crafting, so dont be surprised if I dont post for a while. On the upside, once I return I hope to have lots of gardeny type stuff, because, yes, I have managed to find a place in london with a front AND back garden! I cant wait to get a bit crafty in the garden! I have been oogling pinterest ever since I knew I was getting a garden! 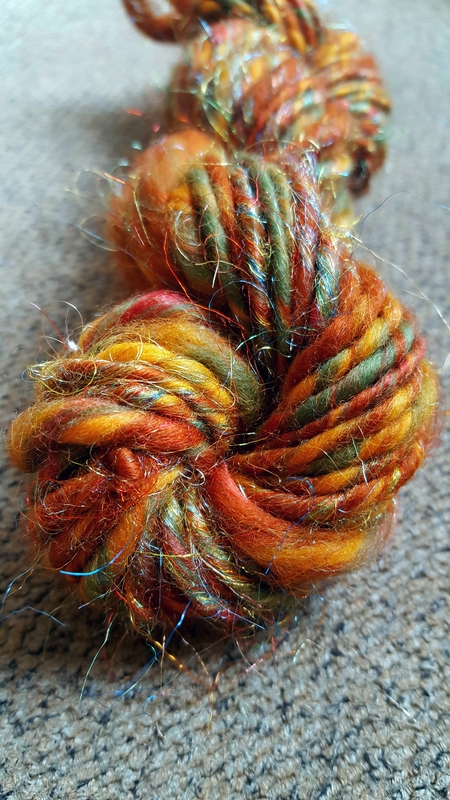 Popping in today to share with you some fibrey goodness! I finally got around to pre-drafting some yarn! I originally got given this yarn by my mum and dad for christmas! Unfortunately I do not know who produced it or dyed it, as it hajs no label. But isnt it gorgeous! Its so autumnal and glorious! Anyone who knows me knows how much I love all things orange and green and autumbal, and this has the added awesomenesss of a little irridescent glitter! Eek! I think I am in heaven. Keep your eyes peeled! 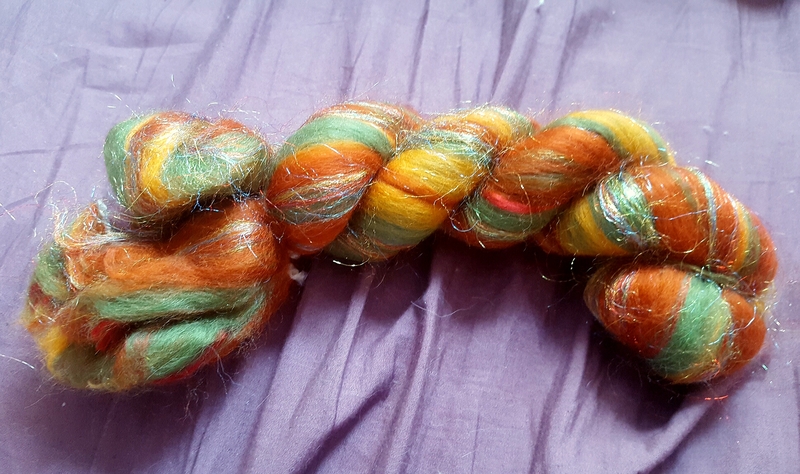 I hope to spin this into some scrummy yarn over the weekend – lets see how my first ever spinning attempt goes! 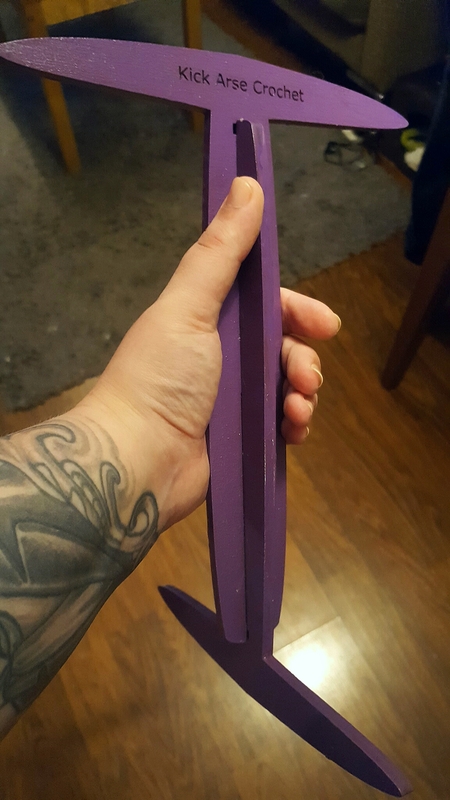 You may remember a while back, that I showed you a niddy noddy my fiance had made for me. Such a clever boy! Well I finally got around to painting and varnishing it! 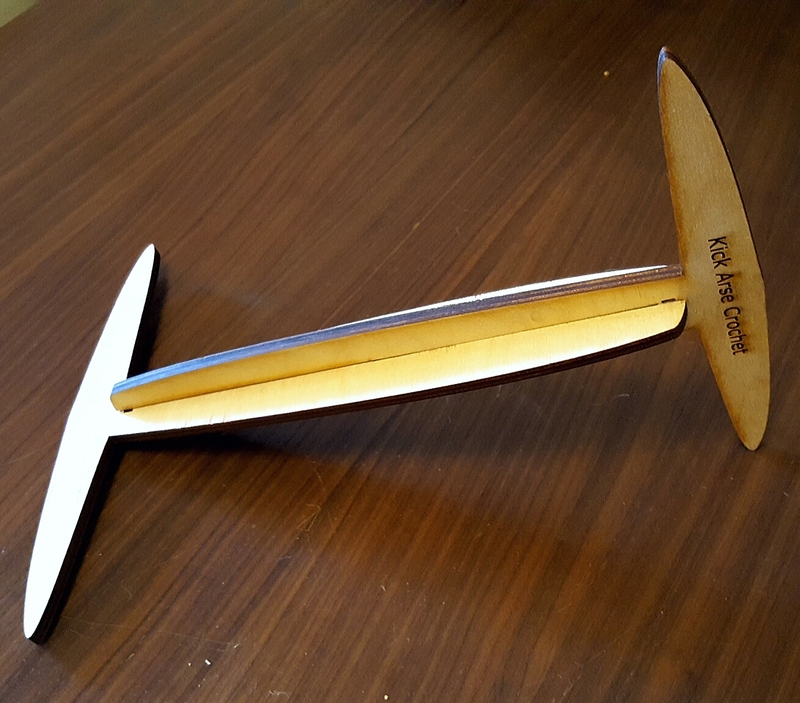 I cant wait to use it! Keep your eyes peeled! I am going to be working nights over Easter weekend (that’s not the lucky part), and when I am on nights, that means at the weekends my other half is banned from the house (or at least restricted to absolute silence) so I can get some sleep. It doesn’t bother him so much because it gives him a good excuse to disappear off to a community workshop he likes to go to. What sort of community workshop, I hear you ask? Well it is called the East London Maker Space. It is a workshop full of awesome tools such as industrial sewing machines, wood and metal working tools, laser cutters, 3d printers, etc. It also has all sorts of groups who meet to do things together, such as electronics. And it is run by its members, so they pay a small monthly contribution and they all get to have a say in how the money is spent and what happens. Well my partner loves it there. So, being the good fiancé that I am, I decided to give him a project to work on, And he only already went and bloody finished it a week earlier than expected! He even put my blog name on it! 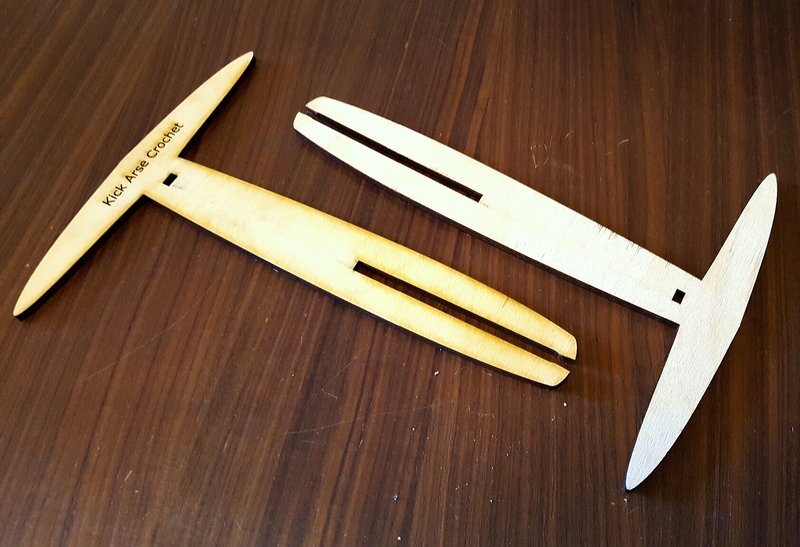 I have wanted a Niddy Noddy for a while. 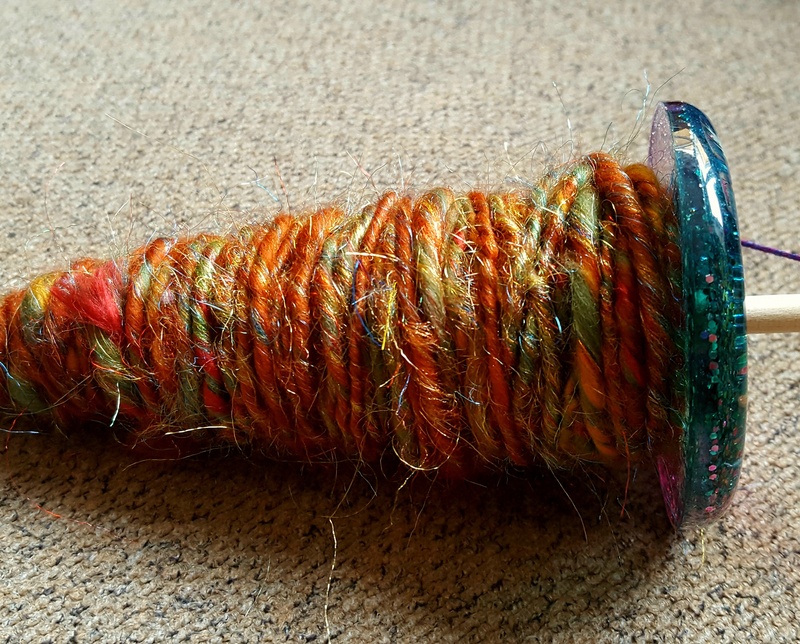 I have tried spinning yarn on a drop spindle but I was finding that as soon as I unwound it, it lost all of its twist and was unusable. Then I found out that you could set it but that you needed a Niddy Noddy. Now lots of DIY’s will tell you to make it out of PVC piping, but I really don’t have any more space for anything that isn’t flat. My craft stash is full to bursting. 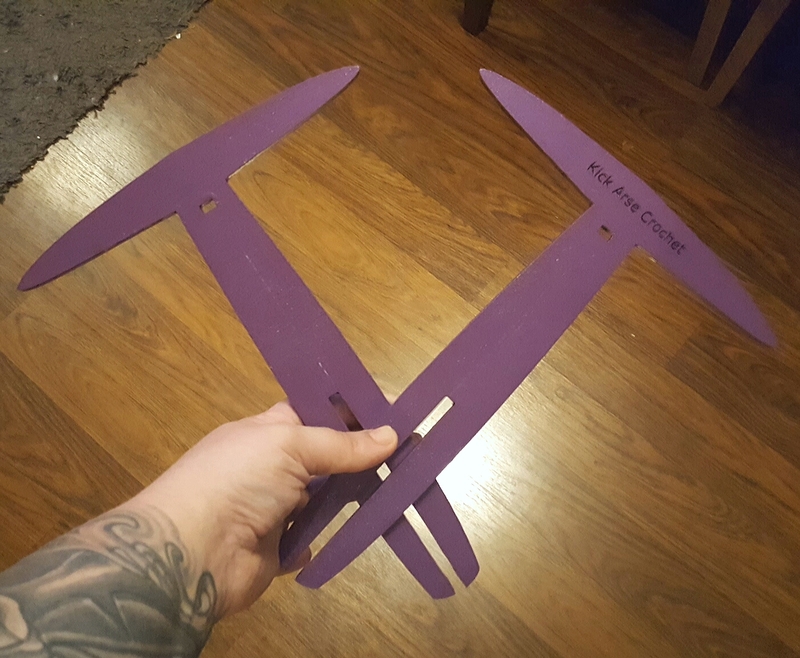 So I got my partner on the case and he made me one that is flat and slots together when needed! What a lucky girl I am! I can’t wait to give it a go! I just have to varnish it and then I am ready to go! I am sure I will have some spinning related news by the end of the week! Until then, have a fabulous Sunday!